Add a cross to the back of your stole using our Crosses for Neck designs. Don't be tempted to skip this simple, yet beautiful step. Since most pastors have short hair and spend a good portion of the worship service facing the altar, this small touch of embroidery makes a big difference. There are many ways to transfer designs, but I use this method. 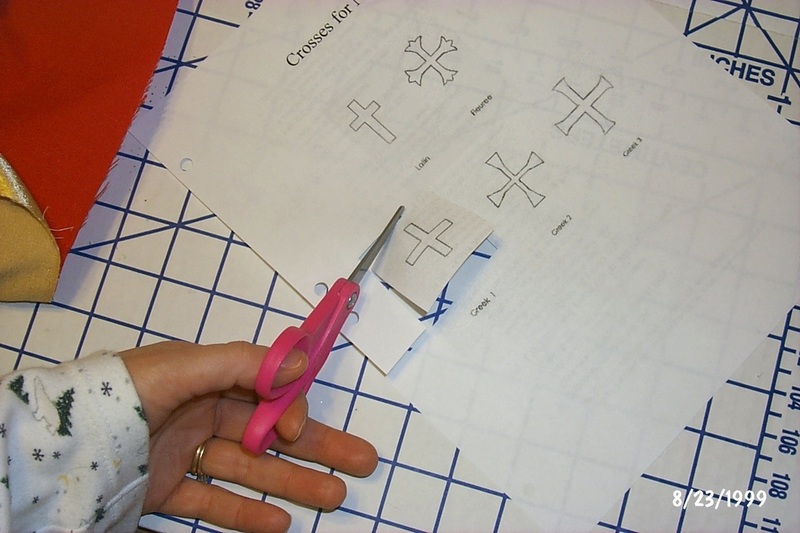 Print out a copy of our Crosses for Neck and cut out the cross you would like to use. 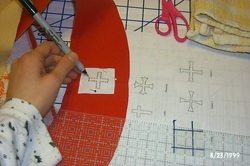 Then punch holes in on outline of the cross. 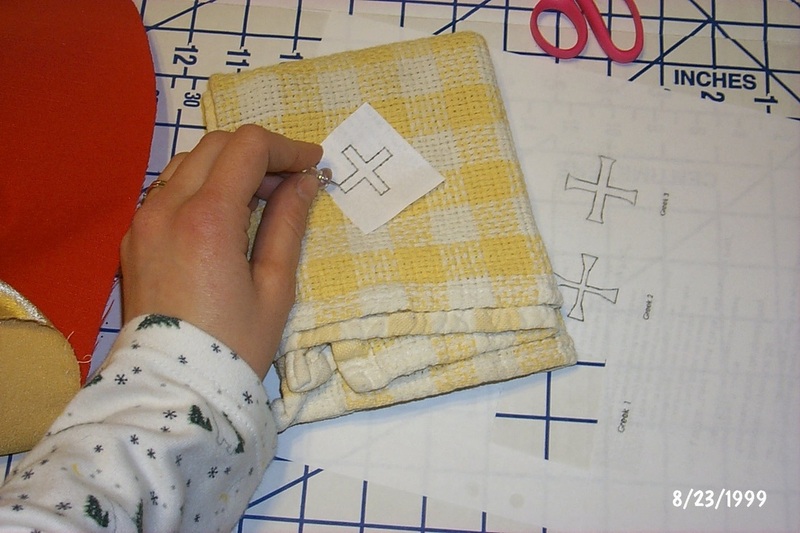 Pin the cross to the neck where you would like to embroider the cross. Use a pen to mark the holes and connect the dots. You can also use transfer paper.